Not sure what to send for Dad's birthday or Junior's graduation? Gift Certificates in any denomination can be the perfect answer. 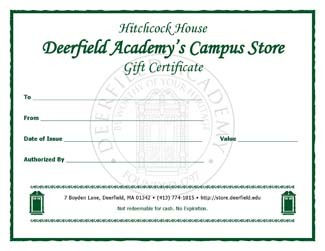 Redeemable at Deerfield's online store only. When added to your shopping cart, your recipient will receive an email notice with the gift certificate details and instructions.